A full range of paella pans in stainless steel or sheet steel, for gas or induction hobs. 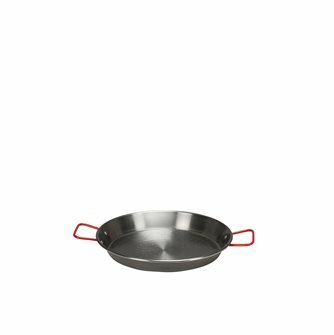 Paella pan in enamelled steel - 46 cm, 12 servings. Paella pan in polished black sheet metal with handles, diameter 70 cm. Professional paella pan 90 cm in thick steel to evenly spread the heat over very large surfaces. Compatible with induction hobs. 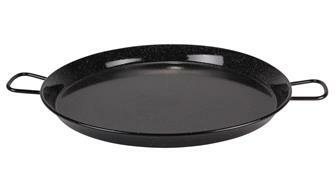 Paella pan in polished black sheet metal with handles, diameter 38 cm. 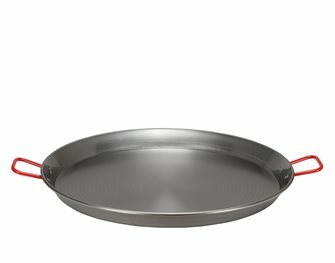 Paella pan in enamelled steel - 40 cm, 9 servings. Stainless steel paella pan with non-stick coating, suitable for all hobs including induction. Diameter 32 cm. Paella dish in black polished sheet metal with handles, diameter 80 cm. 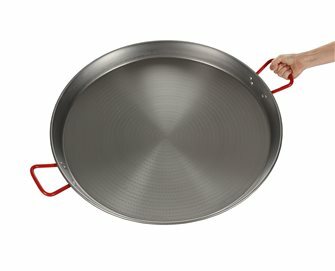 Paella pan in enamelled steel - 60 cm, 19 servings. 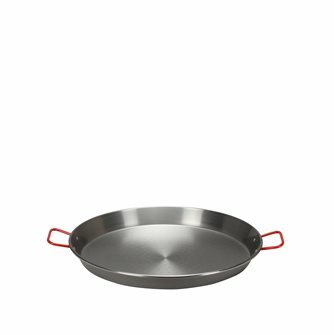 Non-stick paella dish 36 cm, to prepare paellas for 7-8 people. Paella pan in polished black sheet metal with handles, diameter 36 cm. 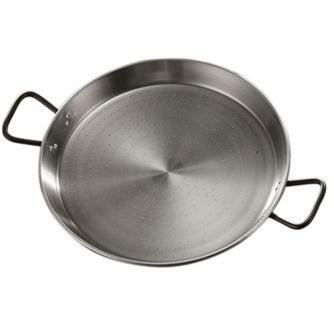 Professional paella pan 45 cm - 12 portions - in thick steel to evenly spread the heat over very large surfaces. Compatible with induction hobs. 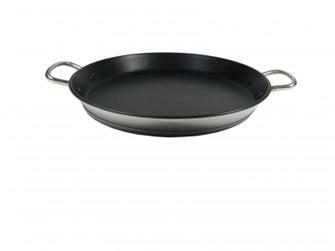 Paella pan in polished black sheet metal with handles, diameter 46 cm. Non-stick paella dish 50 cm to prepare paellas for 14 people. 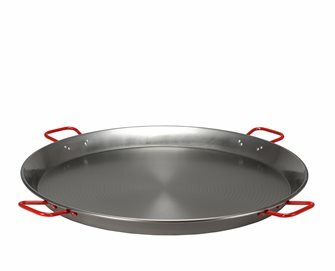 Professional paella pan 60 cm - 19 portions - in thick steel to evenly spread the heat over very large surfaces. Compatible with induction hobs. Paella dish in black polished sheet metal with handles, diameter 90 cm. 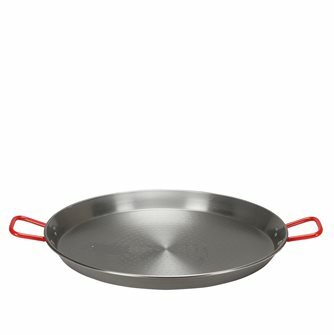 Non-stick paella dish 60 cm, to prepare paellas for 20 people. 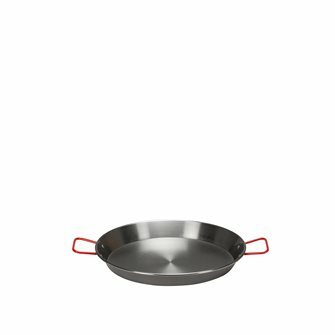 Non-stick paella dish 40 cm, to prepare paellas for 9-10 people. 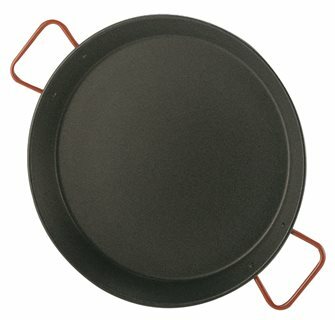 Paella pan in polished black sheet metal with handles, diameter 32 cm. Stainless steel paella pan with non-stick coating, suitable for all hobs including induction. Diameter 28 cm. 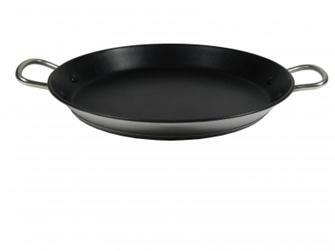 Paella pan in polished black sheet metal with handles, diameter 60 cm. 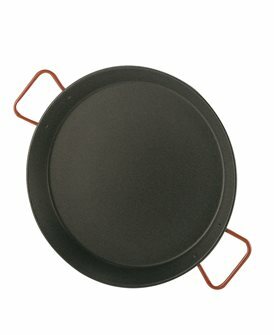 Paella pan in polished black sheet metal with handles, diameter 34 cm. 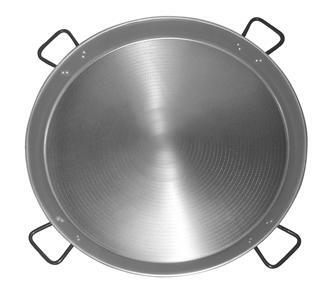 Professional paella pan 80 cm - 40 portions - in thick steel to evenly spread the heat over very large surfaces. Compatible with induction hobs.